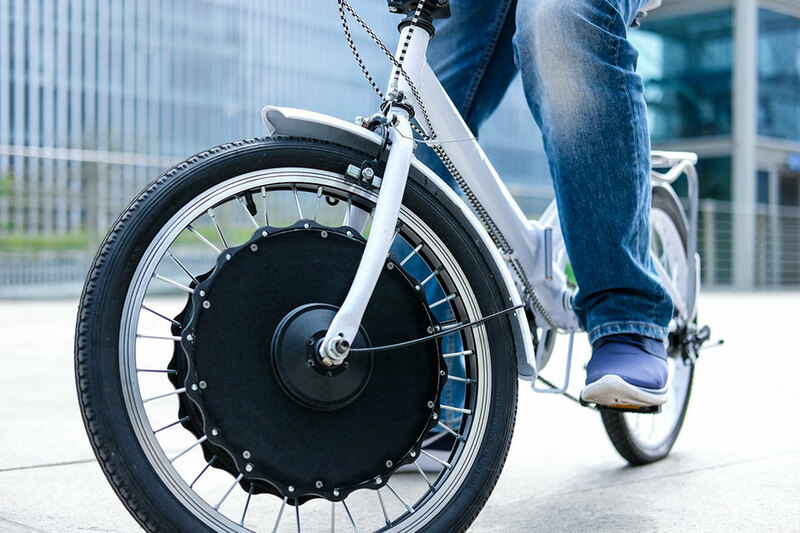 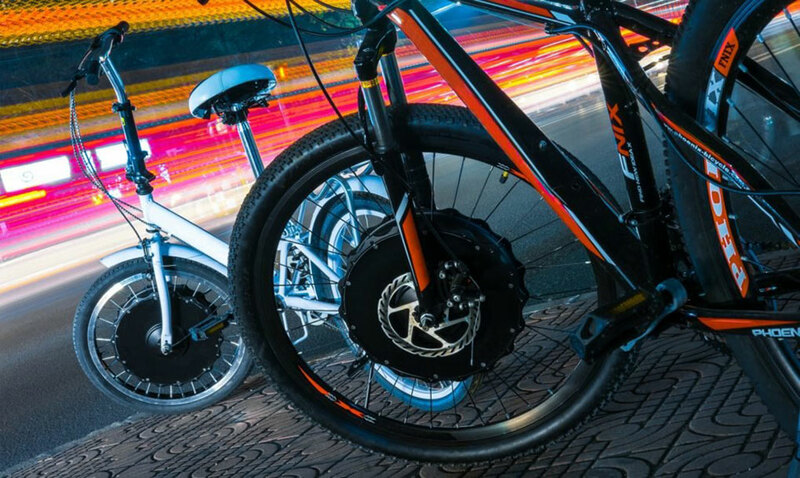 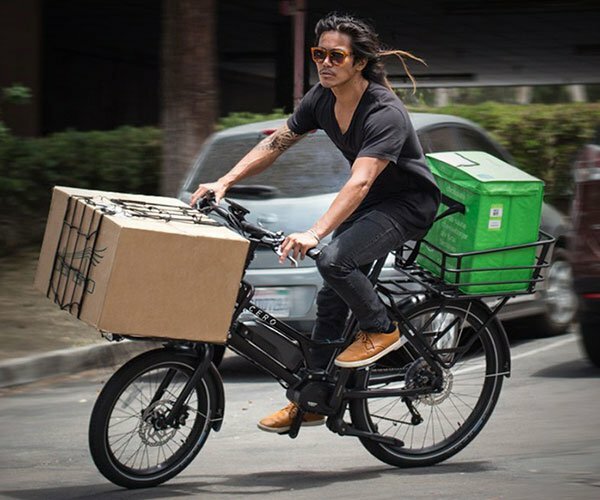 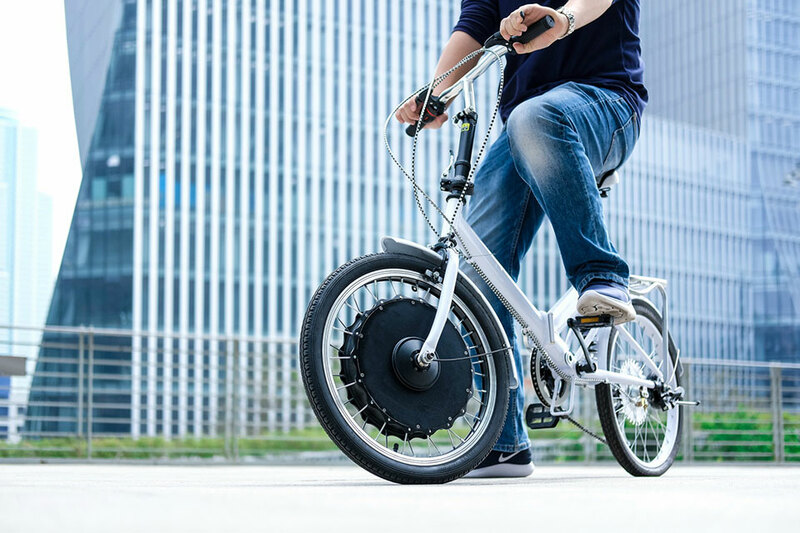 The EvoWheel is a quick and relatively affordable way to add electric pedal assistance to almost any bicycle. 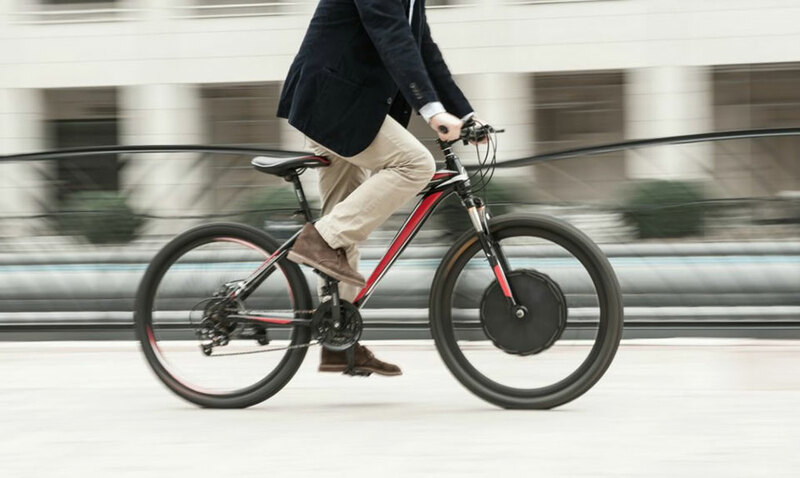 You can swap it in just like a normal wheel, and is compatible with both rim and disc brakes. 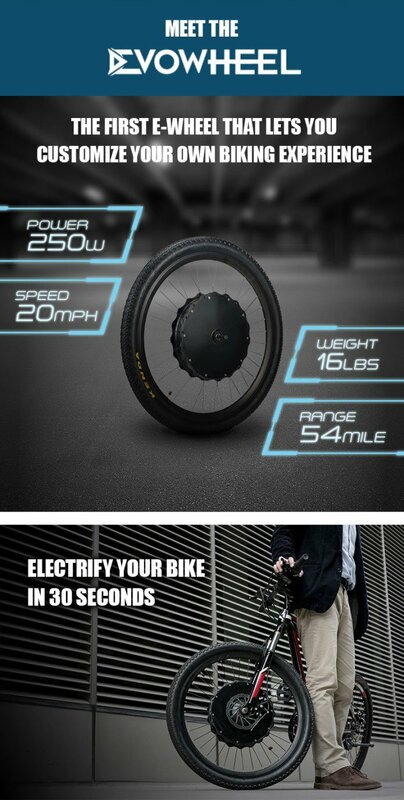 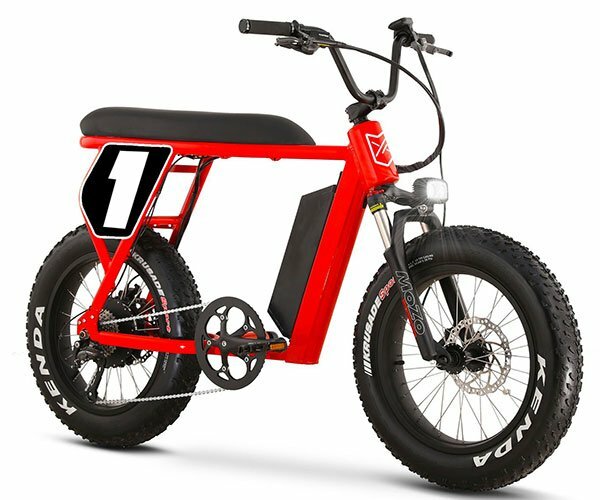 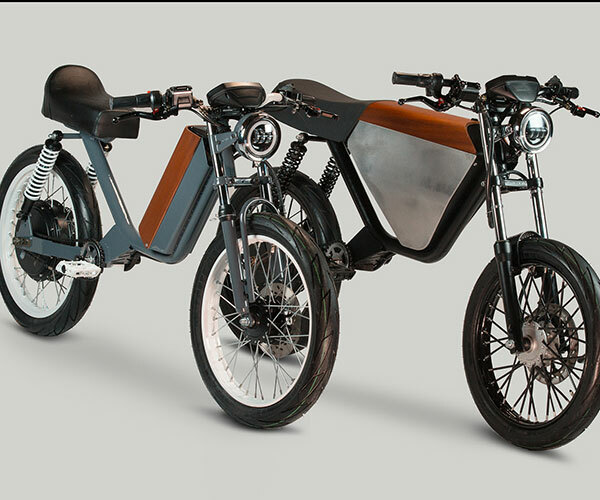 It lets you go up to 20mph and can last up to 54mi per charge.